Part 1 of this saw us as far as the Assembly Rooms, where we collapsed, exhausted, and fortified ourselves on a panini and a pot of tea. The tea worked its magic, as always, and we went downstairs to see the Fashion Museum. This was something my mum particularly wanted to see, but we both thoroughly enjoyed it. You have an audio tour which I hadn't done before, but it was really easy, the exhibits have a number to put into your machine, and you just input the number, press go and it will tell you about what you're looking at. I love history when it can be brought to life, and this is something I really felt in the Fashion Museum, because this is not just the style of clothes that would have been worn at such and such a date, but genuine clothes that date from those times, that were worn by real people and in some cases we even know whose clothes they were. The Fashion Museum's audio tour encouraged me to take photos and I took a lot of them! Hopefully you'll find some of the following of interest. This style of dress was another early one. The dress itself is open at the front, the white part is a separate petticoat. Bit of nightwear here, how glam is this (below)! Now, you know in historical novels, sometimes they'll mention a court dress, and say what a ridiculous garment it was? Well I saw this (below) and my jaw just dropped. Without exaggeration, I would say that you would be wider than you are tall wearing this dress, it's utterly insane. The sides were held out with cane in the dress. To drum up business for court dresses mantua makers would have a sample court dress that they would take to potential customers' homes but since they obviously couldn't take a real dress they had a little mini one, and they had one of those in the museum, in the foreground of the picture below. You may be forgiven for thinking, from the photos I've posted that it's only ladies' clothes, but there are clothes for the gents too. These are from the early 1800s I believe. You can see the dates on the clothes below, let's take a minute to imagine some of Jane Austen's characters in these clothes from around 200 years ago. The coat on the left belonged to Lord Byron's wife. I really enjoyed the Victorian clothes, there was a wonderful array on show, including the petticoats Victorian ladies would wear to ensure the shape of their dresses was correct but not too heavy. I'd heard of crinolines, but I didn't realise that they were basically a cage style of petticoat. Obviously black was a big thing in Victorian fashion, due to Queen Victoria mourning her husband for fifty years. They even had a dress that belonged to Queen Victoria herself, which surprised me by just how big it was. I'd seen photos, but it was good to see in real life, helped with scale. Since this is black it was hard to photo, forgive the flash! The displays go on to show more modern, designer clothes and here are some of Princess Diana's dresses, including her going away dress from her wedding day (the coral one in the middle). These are owned by her sons, but have been lent to the museum, and the display includes the designs of the clothes and notes that she wrote to the designer. I've been to Bath quite a few times, but always for the Christmas market. Last year I promised myself that I'd take a trip to Bath and look at some nice Austen-y things, and last week my mother and I caught the train, and just about an hour later we pulled into Bath. We had about 6 hours there, and frankly I need to go again, because there is more that I want to see! "...soon words enough had passed between them to decide their direction towards the comparatively quiet and retired gravel-walk, where the power of conversation would make the present hour a blessing indeed; and prepare for it all the immortality which the happiest recollections of their own future lives could bestow. There they exchanged again those feelings and those promises which had once before seemed to secure every thing, but which had been followed by so many, many years of division and estrangement." The Gravel Walk is a cut through to the Royal Crescent which is probably one of the most lovely streets I've ever walked down. There is a house here which is decorated in Georgian Style but we didn't have time to go in and see it, something I definitely want to do next time! It's the house on the far right of the picture above. Instead we just walked along the road and pretended we lived there. There is a hotel along this stretch and lots of homes which were under renovation. These houses are crazy expensive for terraced properties, but they really are beautiful. Wow! You can just imagine dancing happening here. There was so much gorgeous detailing in this building. Just look at the ceiling of this room. There were three rooms you could see, the one I've shown above, the Octagon Room, that was used for cards, and what was the tea room. This is also a lovely room, but it can be hired out, as it was on the day we visited, so I only had a quick nose at it. You can get married here, and if I lived closer to Bath I would have been very tempted to have had my wedding there! Housed in this building is the Fashion Museum, which I really enjoyed. I took quite a few pictures which hopefully you'll find interesting, I'll post them next time. Crockett Archer is on his way to a job opportunity, his first as a preacher. He’ll be orating, as will another candidate, but Crockett is confident of his chances. However, he never makes it to his job interview – the train gets held up by some surprisingly old bandits, are not looking for valuables, they are looking for the preacher. Crockett finds out to his astonishment that he has been kidnapped... as a birthday present! Joanna Robbins, daughter of Silas Robbins, ranch owner (and some years previously, a train robber) is struggling spiritually. The area they live in lost their preacher some time ago and a replacement has never been found, meaning that many people in the area can’t go to church as the nearest one is too far away. She worries greatly for her father’s spiritual wellbeing – he has always been anti-church, deeming the clergy as hypocrites. Both Joanna and Silas are still mourning the loss of Martha, Silas’s wife and Joanna’s mother, who was a woman of deep faith. Martha always hoped that Silas would find his way back to God, and Joanna has now taken on this worrying, and doesn’t feel up to the task. Joanna is horrified at what her father has done, although she appreciates that his motivation was her happiness. She confides her worries to Crockett and arranges for him to reach the next town, in order to try and save his job prospects, but the job has already been given to the other candidate, as the townsfolk took it as a sign from God when Crockett didn’t show up. Although disappointed, Crockett begins to wonder whether it was in fact a sign from God, that he should help Joanna try and bring her father closer to God, and provide spiritual guidance for the area. Joanna has a similar spiritual depth and works hard to live up to her Christian values, although she struggles with her self-esteem. She is a very good and lovable character, and you are completely in her corner from the very beginning. 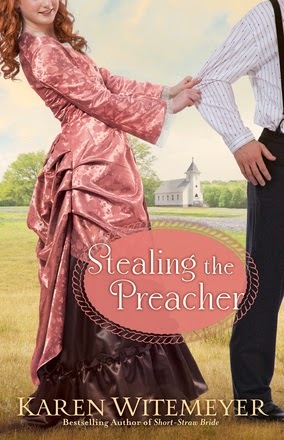 This is a Christian romance, and while it isn’t so evident in other Karen Witemeyer books the Christian theme is very strong indeed within this story, due to its subject matter of trying to bring a man back to his faith. There are some dark moments within this book, and plenty of action. Luckily, I started reading it pretty early in the day, as I am not sure if I could have put the book down at some points until I was sure everything would turn out alright! I thoroughly enjoyed this book, and I would recommend it, as long as you don’t mind a strong Christian theme. 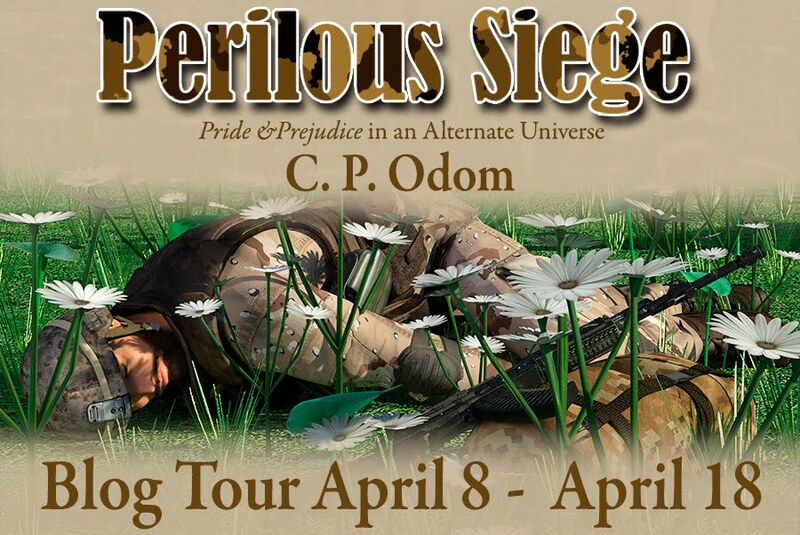 I was so excited to read this book when I heard the premise; Pride and Prejudice, but with the genders swapped! So we see Miss Elizabeth Darcy, the proud granddaughter of an Earl, going into Hertfordshire to stay at the estate of the Widow Davenport (nee Bingley) where she meets William Bennet, one of five brothers, and a very poor match for an heiress like her. I thought this was a very interesting idea. I know there are Pride and Prejudice-inspired books out there with a gender-swap element, but the ones I know of are modern, and I thought that a historical gender-swap would be harder to make work due to societal constraints at the time. The Characters: Firstly, not all of the characters are changed, although nearly all the main ones are - I thought this was entertaining in its own right in a lot of cases. Mr Bennet is a slave to his nerves, and determined to get his 5 sons married. Mrs Bennet is a reclusive alcoholic. There are five Bennet brothers, but the order is different from Pride and Prejudice. Here Martin (Mary) is the eldest and the heir to Longbourn, followed by the handsome Charles (Jane) who is apprenticed to Uncle Gardiner. William (Elizabeth) is next, he is training to be a clergyman and will be in line for the living that Longbourn can award, once the present incumbent inherits an estate, which is expected soon. William doesn’t feel he’s well-suited to be a clergyman, his dream would be to inherit an estate. Twins Christopher (Kitty) and Laurence (Lydia) follow, they are intended for the army. 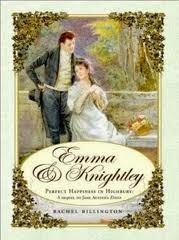 Unfortunately for Miss Darcy, William doesn’t appreciate that she has feelings for him and he dislikes her heartily, although he feels attraction for her that he fights against admitting. Sexism – I wasn’t expecting to get this from reading the book but the way I reacted to the characters’ qualities differed when applied to the opposite gender. I really wasn’t expecting this, and it caused me to wonder how far I have double standards between the sexes. For example, the Hunsford scene in Pride and Prejudice left me feeling extremely sorry for Mr Darcy, but also fairly sorry for Elizabeth Bennet as it was a bolt out of the blue. There is a Hunsford-style scene here and I didn’t have much sympathy for William Bennet, in fact, I wanted to line up behind Lady Cassandra Fitzwilliam (Colonel Fitzwilliam!) for his blood due to his lack of gentlemanliness. Nearly all my sympathy in this scene was reserved for Miss Darcy, and the amount of forgiving she has to do over the course of the book made me feel that she was almost saintly. This certainly gave me new appreciation for Mr Darcy in P&P, the man takes on a family from a lower social class, who are not especially good company for somebody who he has loved steadfastly even though they’ve made their disdain of him clear and it’s cost him a load of money to do so! It also highlighted to me how many instances of rudeness towards Elizabeth Bennet just exist in her head, viewed through her prejudices. Miss Collins is another character I felt differently about than her male counterpart in Pride and Prejudice, but I put this down to societal reasons – Mr Collins was full of self-importance, and Miss Collins had to be more humble, and I found her much more likable as a result, as does her cousin. The Difficulties – The difficulties with gender swap in a historical setting seem to me to be how you get key events to happen. Getting Mr Bennet to ask Miss Darcy to dance when he doesn’t want to isn’t too hard, you have to get him forced into a situation where it would be rude not to ask (Elizabeth is impertinent to Darcy, but she doesn’t cross the line to absolute rudeness until Hunsford), the real difficulty is getting a Hunsford style scene – how can you get a situation where William Bennet would be so rude as to tell a lady that she’s the last lady in the world he would ever marry? Also, to my understanding, a gentleman wouldn’t usually ask a lady of a higher social class to marry him, unless he had a fine fortune, which Mr Bennet doesn’t have. It’s particularly problematic that Miss Darcy is an heiress, as a man with no money proposing to a woman with a lot of it would very likely be seen as a fortune hunter by the lady’s relatives (and in 20-year old Miss Darcy’s case, her guardian, the Earl). When you add to this the fact that he doesn’t initially want to marry her at all it becomes especially problematic! I also couldn’t foresee how Laurence could be endangered by Miss Wickham. I will be fair to Ms Croft, she manages to work around all of these issues in what I felt was a plausible way, although I despaired as to how it would be possible. The Story – the story is largely very similar, although there are areas which differ as Miss Darcy would obviously have less say over her life and movements than Mr Darcy would, although she is one hell of a heroine, she is a lady who makes things happen! There were some differences in storyline that I felt differed unnecessarily from the original, but other changes were necessary due to the gender reversal. Since Pride and Prejudice is more focused on Elizabeth’s viewpoint this is also focused on William Bennet’s view of things. I would have liked a bit more Miss Darcy, but we don’t get more Mr Darcy in Pride and Prejudice so I accept this! The Areas I Felt Could Have Been Improved – Not much actually. There was the odd American word like ‘dang’ and I thought there was too much mild swearing, feeling that gentleman should have refined the language a touch more around ladies. There were some things I might like to have been different, but when I thought about it, often these were reflections of Pride and Prejudice, for example, I would have liked more time in Elizabeth’s head, but we get very little of Darcy’s feelings in P&P so it was fitting. In Conclusion: I really enjoyed this book. I liked the initial gender swap premise, I enjoyed how the author changed things around to make it work and I appreciated that it made me reflect on my own reactions and consider new things about the original story. I found the book very readable, in fact I read the first 70% in one sitting and gave myself a headache because I didn’t want to put it down! 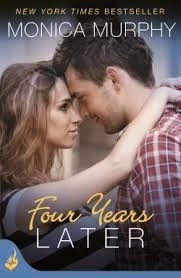 I just couldn’t see how the author could give this couple a happy ending. I found myself thinking about this book after I read it, which is always a good sign, and I had LOADS I wanted to say about it, so kudos to you if you’ve made it to the end! For these reasons, I would rate this book as a 5 star read. I am bad at planning my reading and I have some books on my kindle gathering virtual dust. Some of them were competition wins, and some cost me actual money so they give me a smidge of guilt to have them there wasting away. This year I am hoping to read 100 books, and I made myself a list of around 50 that I planned to read, thinking that I'd choose the other 50 as the mood takes me. So far this year I've done pretty well on my list, reading more than 15 of the books I'd planned for this year already, plus some unplanned ones. I have more on my TBR, don't we all, but this is what I'll try and do for the challenge! If I enjoy the ones with follow ups I'll add the follow ups to the list too. You can sign up to join the challenge here. 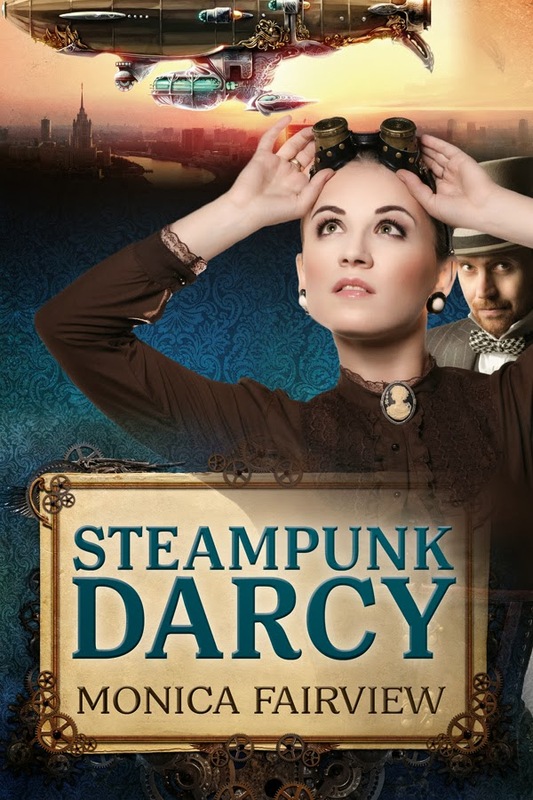 This was my first foray into reading Steampunk so I’m not entirely sure what is typical for the genre. In this world, there has been some kind of environmental crisis, with corrosive slime rain and poisonous rivers. Poor people live in neighbourhoods in the open air with homes built from whatever could be scavenged, whereas richer people live in flying cities or eco-domes. The man who invented these eco-domes, William Darcy, is the descendent of Fitzwilliam and Elizabeth Darcy, who were real people. The book of Pride and Prejudice exists as the chronicle of their romance. Darcy is extremely proud of his ancestors, and he contacts Seraphine to enlist her help with a project. Seraphine understands that the project is to recreate Pemberley, which was destroyed due to the environmental disasters, as a theme hotel, but this isn’t entirely the case. Darcy has a deeply awful half-brother, Richard, who he is trying to keep his inventions secret from so they are not misused. They also have a 15 year old half-sister, Gianna, who is very spoiled and tiresome. Seraphine has had a very hard life. When she was 10 her father was taken by the authorities and erased from all records. Five years later her mother, who was previously a gifted scientist, was taken by the authorities and given mind-altering drugs – although she was returned to the family she isn’t really aware of much of what is happening. Seraphine’s brother ran away from the family leaving Seraphine, then a teenager, to look after her mother and her much younger sister, Briar-Rose. Seraphine did what she had to, not always on the right side of the law, to ensure her family’s safety and survival. Now, Briar-Rose is 15 years old and a selfish and self-absorbed teenager. Seraphine works as a scientific investigator and earns extra money from delivering cargo. Being the sole breadwinner, and being aware of the damage the authorities can wreak on a person, Seraphine fears being taken in by the authorities. Although Sera doesn’t want to work for Darcy, her hand is forced, and they end up working together. Darcy needs her, but is afraid of trusting anybody and won’t let her in; he doesn’t actually let her work on the project he has employed her to help him with! The lack of trust definitely goes both ways. They have chemistry from the off, but they are both conscious of the class divide – he feels like he should make a society marriage and she feels that he couldn’t possibly be interested in her for more than a quick fling. I would have liked to have seen a bit more interaction between the characters; although Sera and Darcy talked most of their relationship seemed based on chemistry, and they both frustrated me by telling each other very little. For example, at one point Sera has a listening device planted on her. She discovers how it was planted, and Darcy works out who arranged it but they never tell each other. I could understand their reluctance to trust each other but Darcy in particular was annoying about it, refusing to explain his motivations on many occasions which lead Sera to misinterpret his actions when a partial explanation would often have sufficed. These two also have major sibling issues which are largely left unaddressed, and in some cases this seems unlikely, such as a time when Sera’s sister crashes her ship and it’s barely spoken about. Although this isn’t the type of thing I usually read I enjoyed this book. It might have been helpful to have a bit more detail on the uprising, as I was a bit sketchy on what they were fighting against, I imagined a kind of ‘Nineteen Eighty Four’ type of society but less restrictive. There was a lot of action, and if you have quite a visual imagination it’ll be working overtime on this book because there was description of the outfits, machinery and fights which really helped set the scenes. 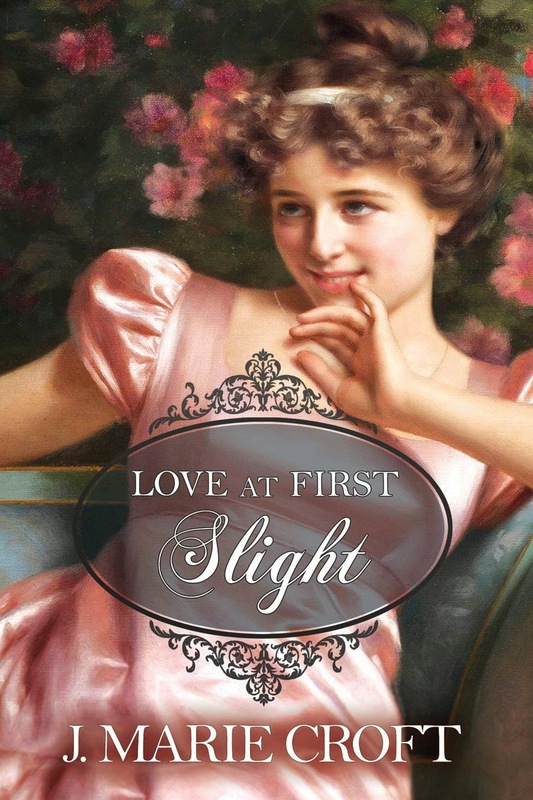 The world the author created was very interesting, and I hope she writes a follow-up, as I am interested to know what happens with the invention, and what happens in the relationship of Sera and Darcy with their respective siblings. Well, last month went pretty well, although I didn't start Fitzwilliam Darcy: Such I Was by Carol Cromlin. This is because I usually only read one historical Austenesque at a time, and I am still trying to finish Emma & Knightley by Rachel Billington. I hope to conquer the latter at least this month, I'm about ⅔ of the way through. I find it a struggle just because I find it a bit depressing, and I am not the type of reader who does well with sad! I just borrowed Sense & Sensibility by Joanna Trollope from the library. I can’t remember if I’ve only read the original S&S once or if it’s twice. 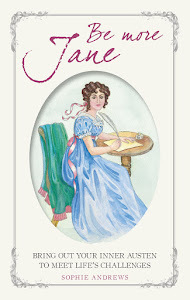 It was the first book by Jane Austen that I read, at around age 14, so if it was only once it was a looooong time ago! I plan to reread Sense & Sensibility, hopefully sometime this year so I hope that I won’t miss out on anything in Joanna Trollope’s S&S because I am not hugely familiar with the original book. I hope to read Alias Thomas Bennet by Suzan Lauder which I won (woohoo!). 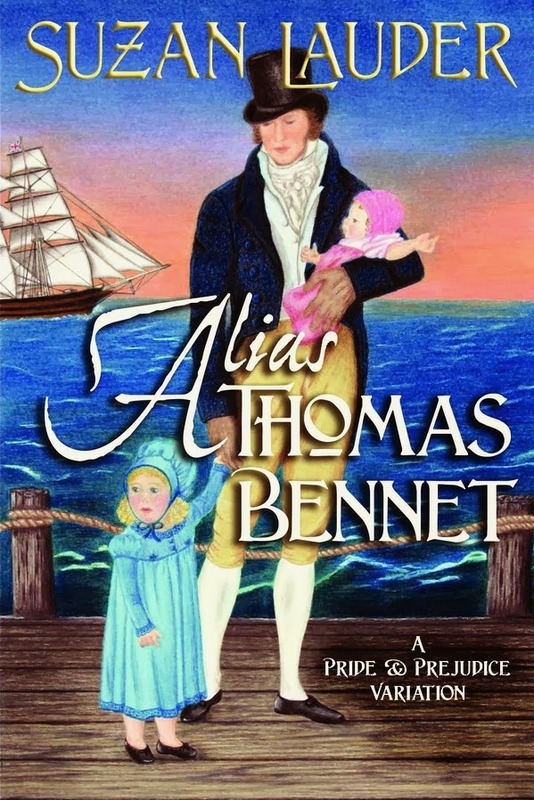 All I know about this book is that it gives Mr and Mrs Bennet from Pride and Prejudice a different backstory and that he is more of an active father. Obviously, this would have ripple effects and lead to his children having a different upbringing so by the time Lizzy is 20 much could be different. Ms Lauder has published some JAFF on A Happy Assembly website (www.meryton.com) and one of her stories there is one of my favourite fanfiction reads, Studio 54, which is based in the 1970s. So I’m hopeful that I’ll enjoy this one. 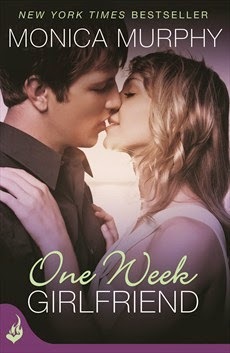 My other planned reads for March are the rest of Monica Murphy’s One Week Girlfriend series. I've read One Week Girlfriend and Second Chance Boyfriend previously. 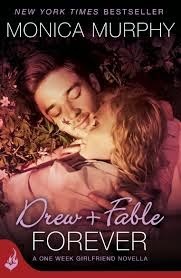 These books introduced and continued the story of Drew and Fable. Now I want to finish off the series with Three Broken Promises, the story of Fable’s boss Colin and her work colleague Jen (I've heard mixed reviews of this book), the novella Drew + Fable Forever, which ties up Drew and Fable’s story, and Four Years Later which is new out in March and tells the story of Fable’s younger brother, who is 14 when we first meet him in OWG. In that book he’s had a pretty neglected childhood, absent father, alcoholic mother, and though Fable has done her best she worries that he’s beginning to go off the rails. Owen is such a sweet kid, so I'm interested to see how he turns out. Will I manage all this? Who knows! Wish me luck!